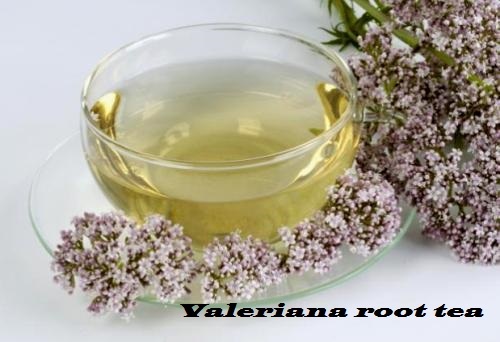 Valerian root, (Valeriana officinalis, family Caprifoliaceae) is a perennial flowering plant, with sweetly scented pink heads or white flowers that bloom in the summer and can reach a height of 5 feet. Other names for this plant are garden valerian, garden heliotrope, setwall and all-heal. Red valerian, often grown in gardens is sometimes also referred to as “valerian”, however it is a different species (Centranthus ruber) from the same family. The root of Valerian is dried and used as an herbal remedy. Extract of valerian root is used as a dietary supplement in different forms, but predominantly capsules. Valerian root is used for centuries in medicinal purposes (since ancient Roman and Greek times) due to its sedative and anxiolytic properties. Hippocrates first described its properties, and Galen later made a remedy for insomnia. The amino acid valine got its name after this plant. Valerian products are marketed as dietary supplements. They are made from its roots, stolons (horizontal stems) rhizomes (underground stems). Dried roots are most commonly prepared as teas or tinctures while extracts and dried plant materials filled into capsules or incorporated into tablets. Valerian is sometimes combined with other botanicals in similar preparations. Insomnia and other forms of sleep disorders. Some findings suggest that valerian root preparations can’t relieve insomnia as fast as prescription sleeping pills. Prolonged use from several days up to 4 weeks may be required for effects. It has been also showed that Valerian root seems to improve the quality of sleep in people who are withdrawing from the use of sleeping pills. However, there is a need for more relevant evidences. Some studies have revealed that valerian root doesn’t improve insomnia any better than a placebo. Anxiety. There is opposing evidence about the valerian root effectiveness for anxiety. Some patients have been reported that it seems to decrease stress in social situations, whereas other studies have shown no benefits. Depression. Some recent and early findings propose that taking valerian root in combination with St. John’s wort may improve symptoms of depression. Taking higher doses of valerian in combination with St. John’s wort may improve depression symptoms faster than low doses. Restlessness. A specific combination product called Euvegal manufactured by Schwabe Pharmaceuticals that contains valerian root extract 160 mg and lemon balm leaf extract 80 mg might be used to reduce serious restlessness (dyssomnia) symptoms in children younger than 12 years. Early results are that it might be effective, but more research is needed. Menstrual disorders. Early findings show that taking valerian root 3 times a day for two menstrual cycles may reduce pain and the need for other pain reliever use during menstruation. Stress. Valerian root in combination with other herbs has been shown to be effective in stress situations. 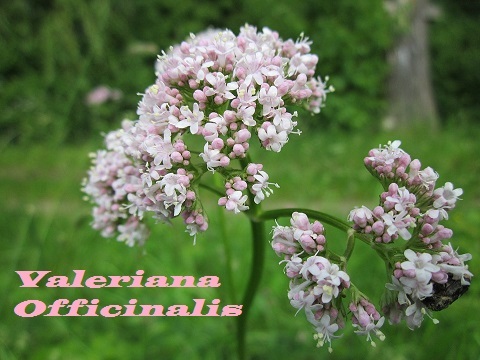 The volatile oils content, including valerenic acids, the fewer volatile sesquiterpene or the valepotriates is sometimes used to standardize valerian extracts. Similarly to most other herbal preparations, different compounds can be also present. How Valerian Root works in the body? Many different chemical compound of valerian have been identified, however it is not known which are responsible for sleep-beneficial effects. It is also likely that there is no single active compound and that valerian overall effect result from multiple ingredients that can act independently or synergistically. Two major classes of valerian constituents have been suggested as the most important source of these herb sedative effects. The first category includes valerenic acid and its derivatives, which have showed to have sedative effects in animal models. But, it is also showed that valerian extracts that have very small amounts of these compounds also have sedative properties, thus this may indicate that other components may be responsible for these effects or that in fact multiple constituents contribute to them. The second category includes the iridoids where valepotriates are most important ingredients. Valepotriates and their derivatives work as sedatives in vivo but they are very unstable and may break down during improper storage or in moist environment, making their activity difficult to assess. A possible mechanism of valerian extract effects may be due increased amount of GABA in the synaptic cleft. Studies showed that valerian extract may produce release of GABA from brain nerve endings and then block GABA reuptake into nerve cells. Moreover, valerenic acid inhibits an enzyme that metabolizes GABA. Valerian extracts contain GABA in amounts that are sufficient to cause a sedative effect, but it is not known whether GABA can cross the blood-brain barrier to contribute to valerian sedative effects. Glutamine is also present in aqueous (but not in alcohol) extracts and may cross the blood-brain barrier and be converted to GABA. Levels of these compounds may also significantly vary among plants depending on when the plants are harvested, resulting in noticeable unpredictability in the amounts found in valerian preparations. Blackmores Valerian Forte formula gives a standardized dose of valerian extract. Blackmores Valerian Forte is precisely designed to help reduce the time taken to fall asleep, allowing you to wake up refreshed with no associated morning drowsiness. What is Valerian Essential Oil? The Valerian essential oil is extracted from the Valeriana officianalis plant and has many different applications. Valerian essential oil contains: alkaloids, valeric acids, terpenes, and flavonoles that are needed for a wide range of applications that valerian essential oil has. Due to its popularity, it is widely available around the world and its use is expanding as more people discover the undeniable health benefits of valerian essential oil. It has been shown that that taking valerian root preparations in doses of 600 mg during 7 days may reduce blood pressure, heart rate and pressure feelings when someone is in stress situations. Other studies described that taking 100 mg of valerian preparation before speaking in front of an audience can decrease feelings of anxiety. Another study found that using a combination product containing lemon balm night and valerian can decrease anxiety caused by stress at low doses but increase anxiety when taken in larger doses. Proposed valerian anti-stress mechanism of action is following: by improving GABA levels which are usually unbalanced in anxious and stressful patients, valerian can relax both, your mind and body. Thus, by decreasing anxiety and improving the length and quality of sleep, valerian root can be very helpful in daily stress management. It is very important since chronic stress can make you anxious and can also make you feel more stressed out. Valerian root has been used to treat sleep problems including insomnia for centuries. It is typically taken in the form of capsule or tincture usually in combination with other herbs like hops and lemon balm. Although studies have not yet confirmed that valerian can effectively treat and cure insomnia, some studies have been shown that valerian may promote better sleep. 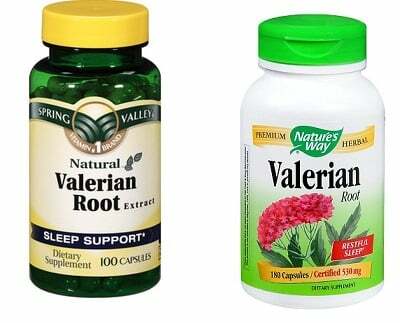 The National Institutes of Health (NIH) categorizes valerian root as “possibly effective” medication for inability to sleep. The American Journal of Medicine in 2006 concluded that “valerian root might improve sleep quality without producing side effects.” 16 clinical trials have been analyzed with a total of 1,093 patients, noting that valerian doses and length of treatment were different considerably from study to study. One double-blind study conducted by the Foellinge Health Center in Sweden has been shown the positive effects of valerian root on poor sleep were significant. 44 % patients reported perfect sleep while 89 % reported improved sleep during the treatment with valerian root. Moreover, no side effects were observed for this group. Valerian root is often used in combination with sedating herbs including: hops (Humulus lupulus) and lemon balm (Melissa officianalis), for insomnia treatment. In one study conducted on children with minor sleep problems, 81 % of those who took an herbal combination of valerian and lemon balm reported sleeping much better than those who took a placebo. In a more recent review that was published in the journal of Sleep Medicine in 2010, scientists reviewed 18 clinical trials of the valerian benefits in the treatment of insomnia. They found that valerian may be beneficial in reducing the time that is needed to fall asleep, but they also note that more research is needed before any conclusion can be drawn about valerian’s effectiveness for sleep disorders and insomnia treatment. Unlike many prescription sleeping drugs, valerian causes far less side effects and is a much less likely to cause a drowsiness in the morning. The herb valerian can be also used in patients with mild anxiety, but the studies supporting its use for anxiety is limited. Researchers with the Cochrane Collaboration reviewed studies on valerian for anxiety. Only one study met quality criteria. It was a 4-week study that was comparing valerian with diazepam (Valium), and a placebo in 36 people with generalized anxiety disorder. Results showed that there were no statistically significant differences between the groups. However it was maybe because the size of the study was too small. The probable mechanism of action is that valerian root increases the concetrations of a brain chemical GABA that also helps to regulate nerve cells function and calms anxiety. Drugs such as alprazolam and diazepam also work by increasing the amount of GABA in the brain. The valerenic acid and valerenol from valerian root extract are most likely to act in the same way. Can Valerian root ease menstrual cramps? The valerian root relaxing effects can make it as an excellent choice for natural relief of menstrual cramps. This herb can reduce the severity and discomfort of menstrual cramps, a well-knoiwn problem for women who suffer monthly from PMS. It works as a natural sedative and antispasmodic, by suppressing muscle spasms and by acting as a natural muscle relaxer. Valerian root can also effectively easy the severe uterine muscle contractions. These effects have been confirmed by a double-blind, randomized, placebo-controlled study from Islamic Azad University in Iran. Can I take Valerian root if I have high blood pressure? The same active components of the valerian root that make this herb so effective for stress and anxiety therapy can be also helpful to regulate blood pressure. Valerian root supplements can help naturally to reduce blood pressure and keep it in appropriate level, which has a direct positive impact on your heart health. However, relevant and bigger studies are needed to confirm that. There is a little evidence about the use of valerian for digestive issues but it has been traditionally used to treat many stomach disorders for centuries. It is found helpful for treating GIT problems such as: intestinal cramps, bloating, colic and diarrhea. There are no studies that will prove valerian root efficacy for migraines. However, some medical experts may recommend valerian root due to its benefits to treat triggers for headaches such as anxiety and stress. As Valerian root is well tolerated, then it would certainly not hurt you to give it a try. Recent studies suggest that valerian root when combined with lemon balm amy have been quite positive for ADHD treatment in children. But, further studies are needed to confirm that. Although Valerian is considered as a generally safe, there are still precautions that patients need to take and possible side effects that they should be aware of. Studies have not showed any adverse effect on fetal development; but pregnant women should avoid taking valerian. While it is commonly taken to calm the nerves, valerian may in some rare cases cause increased levels of anxiety. Valerian should not be taken for more than a month without your medical provider approval. Because of it works as a mild sedative, valerian may negatively affect your focus and reaction speed and should not be taken when you are operating machinery or driving. Although valerian root use is regarded as safe, mentioned side effects can still occur. Sometimes patients may have totally opposite reaction of what they were aiming for, and might het feel anxious and restless instead of calm and sleepy. Though these side effects may be moderate in intensity, they usually pass on their own and very rarely require medical attention. In one study that followed Valerian root safety, an escalation of sleepiness has been observed in the morning after 900 mg of valerian root was taken. Results from another study concluded that 600 mg of valerian root did not have a clinically significant effect on alertness, reaction time and concentration the morning after administration. Several case reports revealed side effects, but in one case where suicide was tried by a patient with a massive overdose it is not possible to clearly attribute the symptoms to valerian. Valepotriates, that can be found in valerian may have cytotoxic activity in vitro but were not carcinogenic in animal studies. Likely most commercial preparations don’t contain these compounds. Who should not take valerian? Pregnant or nursing woman should not take valerian supplements without medical advice because the possible risks to the fetus or infant have not been yet evaluated. Individuals with a history of alcohol, barbiturates and benzodiazepines addiction should avoid taking valerian because of theoretical possibility of additive sedative effects. Valerian root use has been involved in a small number of cases of liver injury that was clinically apparent, but most cases were when it was used in combination with other herbs such as skullcap or black cohosh. In published cases, the latency to onset of negative actions ranged from 3 to 12 weeks and the pattern of enzyme elevations was usually hepatocellular or mixed hepatocellular-cholestatic. The liver injury was usually mild to moderate severity with recovery within 2 to 4 months after stopping. Autoimmune and Immunoallergic features were not present. Severe cases with features of hepatic failure have been described, but usually in connection with other potentially hepatotoxic herbals. The cause of the liver damaged related to the valerian use is not known. Valerian extracts have multiple ingredients, but none of them have been shown to be specifically hepatotoxic. Can Valerian root cause dependency/addiction? For the most of people, valerian root shouldn’t cause any type of dependency. It also does not cause withdrawal symptoms after abrupt discontinuation in most people. However, there have been few reports of valerian withdrawal symptoms when it has been used over very long periods of time. If someone want to discontinue valerian use after a long-term treatment then you should decrease your dose gradually rather than abruptly stopping all at once to be on the safe side. Valerian root is usually sold as a dry powdered extract in capsule form, tincture, fluid extract or tea. Valerian can also be used externally in essential oil form. Valerian is likely to be the most effective when it is taken regularly for 2 or more weeks. It may take a few weeks before initial effects of valerian root supplementation are felt. For insomnia, it may be taken 1 to 2 hours before sleep or up to 3 times during the day, with the last dose near bedtime. Tea: Pour 1 cup boiling water over 1 teaspoonful or 2 -3 grams of dried root, steep 5 to 10 minutes. When sleep gets improved, it’s recommended that you keep taking valerian for 2-6 weeks. For anxiety, general recommendations are 120 to 200 mg, 3-4 times per day. How should I use Valerian Root? Always use Valerian Root supplements as directed by your doctor. Check the label on the medicine for exact dosing instructions. Take this product 30 – 60 minutes before bedtime. Do not take Valerian Root for more than 2 weeks. If you miss taking a dose of Valerian Root for 1 or more days, there is no cause for concern. Most studies show no side effects on fetal development and fertility, but more studies are needed. Check with your doctor before taking valerian root if you are pregnant or nursing. There are no indicated uses for valerian in nursing mothers, but is most frequently used to treat anxiety and sleep disorders and very occasionally for treatment of postpartum blues or depression. There are no studies about efficacy and safety of valerian in nursing mothers or infants. However, Valerian root is not recommended during breastfeeding because of the theoretical concerns that its compounds such as valepotriates and baldrinals have been shown to be cytotoxic and mutagenic in vitro. Only because of that nursing mother should not use Valerian root products. Melatonin is a hormone produced in the pineal gland and is close connection with the body’s sleep-wake cycle. When the sun goes down and night comes, the pineal gland is “turned on” and begins to actively produce this hormone, which is then released into the blood. Both valerian and melatonin are used to treat insomnia and different types of sleep disorders. Both medicines have also shown positive effects on blood pressure. The differences are that Valerian is also recommended to treat stress, anxiety, muscular spasms and cramps, whereas Melatonin is in the process of investigation to help with cancer care. Melatonin is also in the process of investigation for Alzheimer’s disease (AD) therapy and amyotrophic lateral sclerosis (Lou Gehrig’s disease). Both substances are considered as safe. Valerian side effects are usually: headache, stomach problems, dizziness, excitability and uneasiness while Melatonins are: headache, daytime sleepiness, short-term feelings of depression, dizziness, stomach cramps, irritability. When they are used in combination with other drugs Valerian has been shown severe tiredness when is used with sleep-inducing medicines while Melatonin should be used with caution when combining with drugs that have anticoagulant and sedative properties. Benzodiazepines such as Xanax, Valium, Ativan and Halcion. Barbiturates or central nervous system (CNS) depressants such as phenobarbital (Luminal), morphine, and propofol (Diprivan®). Dietary supplements such as St. John’s wort, kava, and melatonin. Can I take Melatonin and Valerian supplements together? Valerian and Melatonin supplements should not be combined together because sedative effect could be too strong. Both medications work as CNS depressants, producing a sedating effect and promoting sleep. Also, they shouldn’t be taken with any other type of sedative, because additive effects will occur increasing the risk of side effects to happen. It’s also best not to combine either melatonin or valerian with any other OTC or prescription sleep aids, or any products containing alcohol. Can I take Valerian root and Alcohol together? Alcohol can increase valerian side effects such as sleepiness and drowsiness. Some people, especially elderly may also experience impairment in thinking and judgment. Always avoid taking these two substances together. Can I take Valerian root and Buprenorphine together? Using valerian root supplements with buprenorphine together may cause central nervous system depression leading to serious side effects such as respiratory distress, coma, or even death. Patients may need a dose adjustment or more frequent monitoring by healthcare provider to safely use both medications. Can I Take Valerian root and Xanax together? Taking valerian supplements together with Xanax might increase the effects and side effects of Xanax such as drowsiness, sleepiness and sedation. Valerian can decrease how quickly the liver breaks down alprazolam the active ingredient of Xanax. Can I Take Valerian root and Zolpidem together? Taking valerian root supplements together with sleep inducers such as Zolpidem might increase the effects and side effects of Zolpidem such as drowsiness, sleepiness and sedation. Always consult your doctor first before taking any drugs on your own. Can I take Valerian root and Valium together? Valerian might cause sleepiness, sedation and drowsiness. Taking valerian together with sedative medications such as diazepam (Valium) might increase the risk of negative side effects to happen such as sleepiness, drowsiness and sedation. Can I take Valerian root and Luminal together? Valerian root might cause sleepiness, sedation and drowsiness. Medications that cause sleepiness are known as sedatives. Taking valerian along with sedative drugs such as Luminal might cause too much sleepiness. What is the regulatory status of valerian in the United States? In the U.S. valerian is sold as a dietary supplement, which is regulated as foods, not drugs. Thus, premarket evaluation and approval by the FDA are not required unless claims are made for indicated disease prevention or treatment. Because dietary supplements are not always tested for manufacturing consistency, the composition of valerian products may vary significantly between manufacturing lots. Can I use Valerian root supplements Before Surgery? Anesthesia and other drugs that are used during surgery work by slowing down the function of central nervous system. Because valerian supplements also produce a slowing effect on the CNS, patients need to be warned against using valerian products in the weeks before scheduled surgery. Doctor will usually recommend that patients withdraw the use of all valerian supplements at least 2 weeks before surgery to avoid potentially harmful side effects. After surgery, your healthcare provider needs to be consulted in order to determine how long you should wait before resuming valerian treatments. However, many users often swear for the safety of valerian root supplements for the treatment of mild sleep and anxiety disorders. Because valerian has a very low incidence of reported side effects, patients who are considering valerian root for the treatment of a widespread range of disorders may be able to do so without considerable risk to their health. Always consult your doctor if you have issues about whether using valerian supplements is right for you. Make sure to fully disclose your medical history, as well as any prescription or OTC drugs that you are taking, so that your doctor will be able to make correct decision regarding your treatment. Most importantly, be mindful of how you feel while taking valerian root supplements and inform your doctor at once if you feel that you are experience a side effect as a result of those supplements.